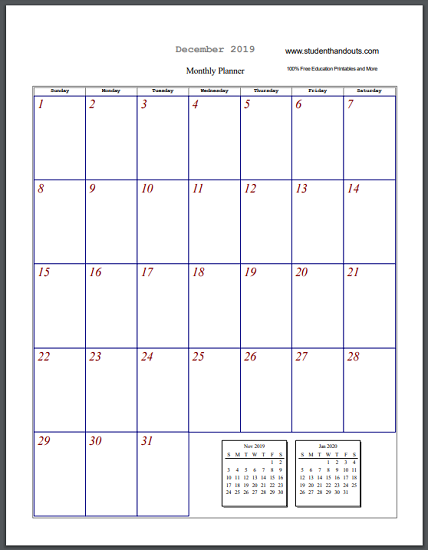 Simply click on the month of your choice and print the PDF. Print only the current month, or print years ahead. Calendars for the distant future are particularly useful when planning weddings, graduations, and the like.